2014 Road Trip Photos #33: Season Finale, Last Call for Outtakes « Midlife Crisis Crossover! 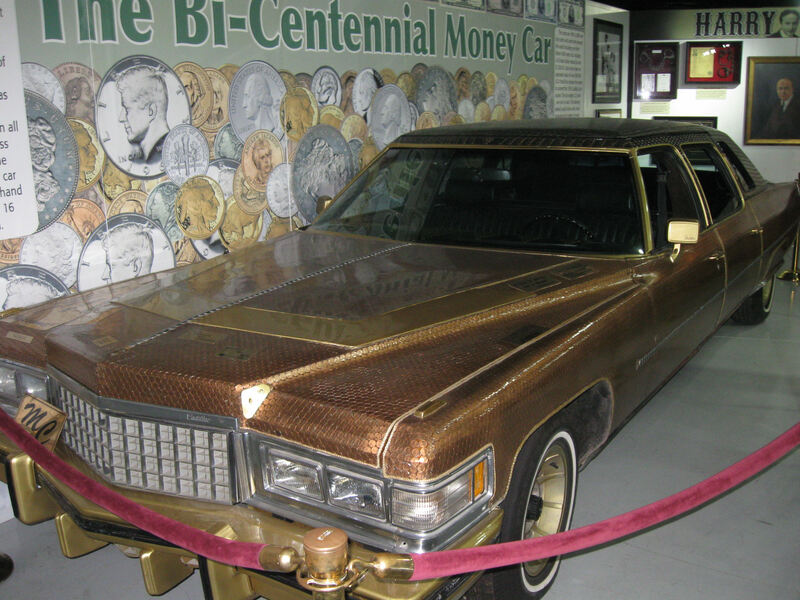 One of the many vehicles that missed the cut for Part 29 was the Bi-Centennial Money Car, a ’76 Cadillac covered in pennies. Some things you’re really curious about, and then some things you realize you’d rather not ask. Previously on Midlife Crisis Crossover: we guided you through our annual road trip in thirty-two episodes, from Indianapolis to Minnesota/St. Paul to Fargo to home again. In our grand finale: one last round of outtakes from everywhere and everything else we saw besides Minnesota, all kinds of little bonus moments in between the shots in the previous chapters. Sure, I could’ve simply done a more thorough job of vetting photos the first time around and made the previous entries twice as long, but then what would I do for outtakes? The “Knight’s Bar” building in Milwaukee looks like a close cousin to the Mars Cheese Castle we saw in Part 1, but this was nearer the Milwaukee Riverwalk (cf. Parts 2-3) and inside is a restaurant called Mader’s. 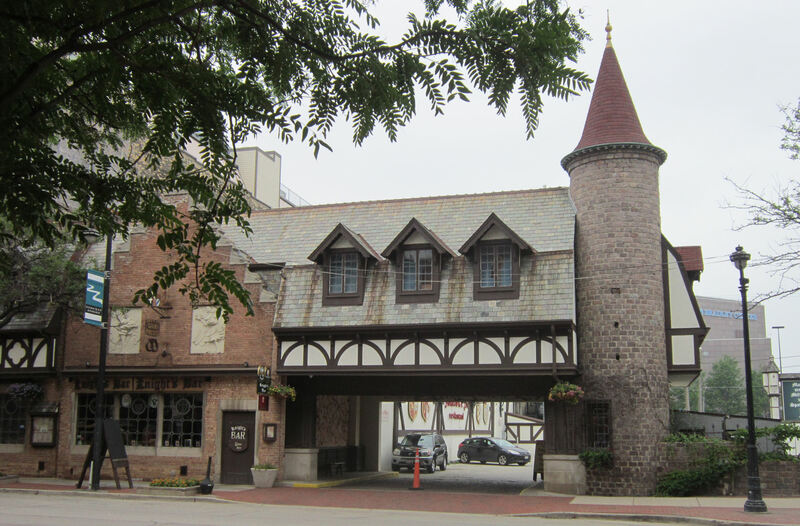 We’ll never know if Mader’s was equally medieval because traffic issues screwed up our timing and we arrived in Milwaukee with no appetite. 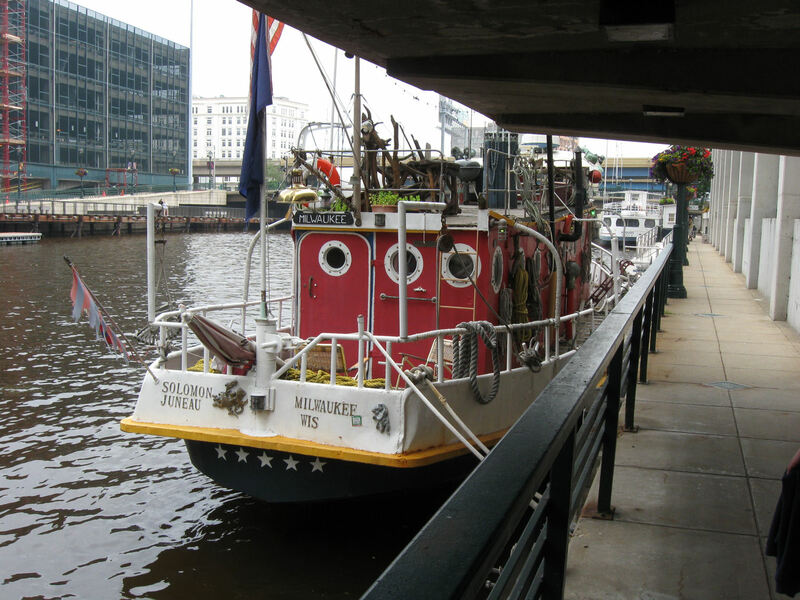 Several boats were moored along the same Riverwalk, most of them unmanned for the weekend afternoon. We’re not the kind of people who go boating, or know people who own boats. The contents of this authentic vessel are therefore exotic and confusing to us. 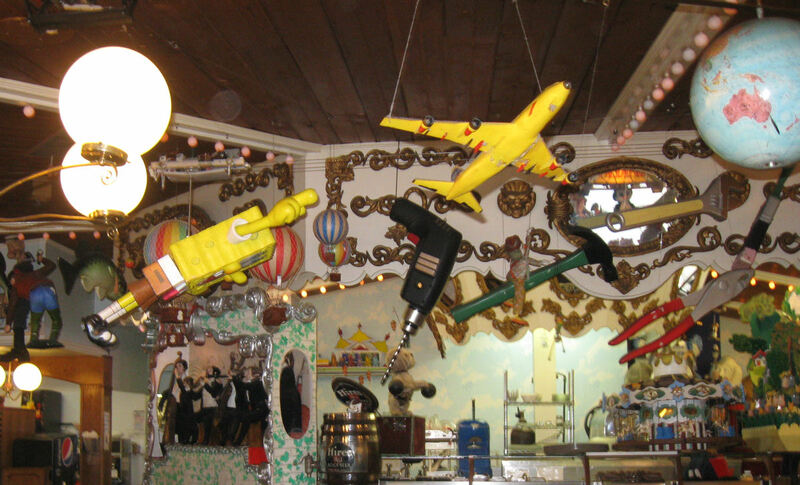 In Part 5, Ella’s Deli and Ice Cream Parlor concluded Day One with kitschy sensory overload. The ceiling was covered in remaindered TGIFriday’s knickknacks, including a flying Spongebob because if he were real and could fly, this is exactly the sort of airspace he’d love. 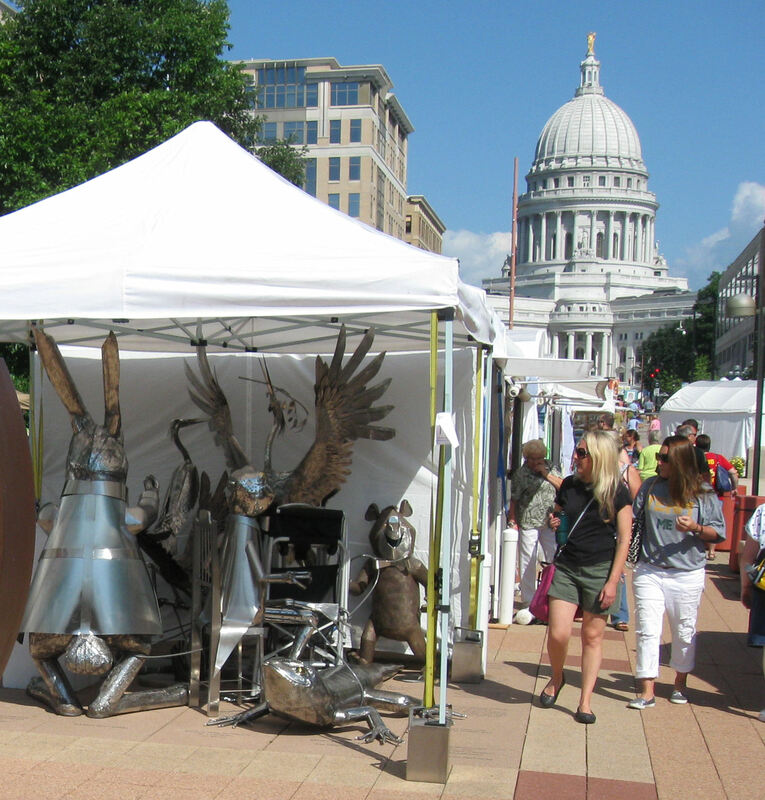 In Part 6, the art fair occupying downtown Madison comprised dozens of booths with wares in various media and materials, including this metallurgy collection for sale. In the background, the Wisconsin State Capitol reminds all vendors and visitors to clear the streets before Monday morning when the government and other people with neckties have to go back to work. 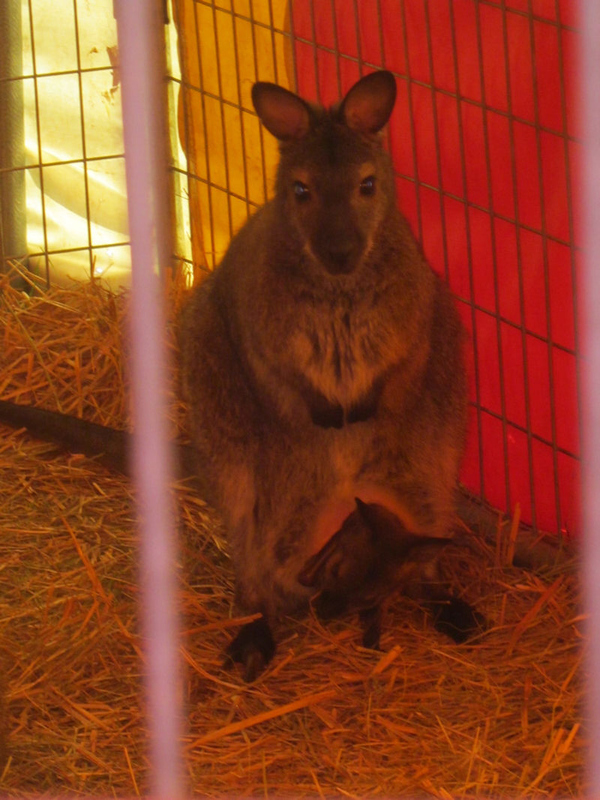 In Part 8, a suspicious wallaby at the Northern Wisconsin State Fair reminds you the red zone is for the loading and unloading of joeys only. 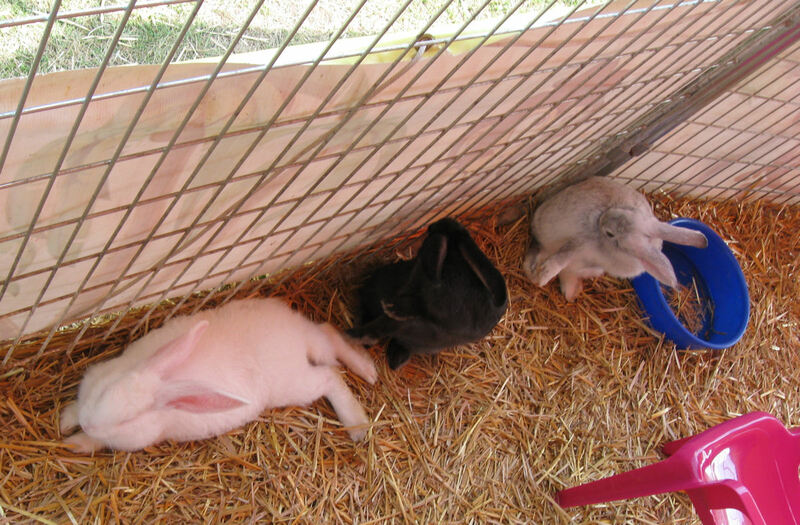 Also spotted during Part 8: BUNNIES! 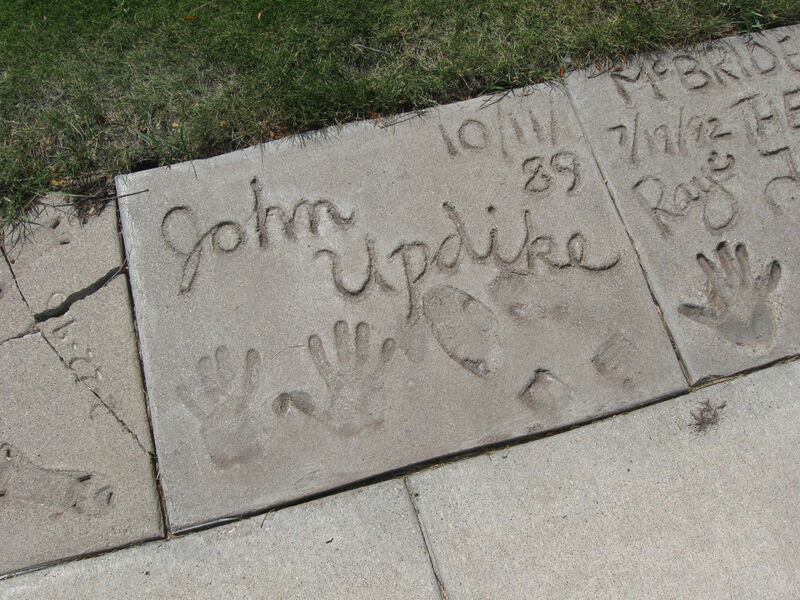 In Part 21, the Fargo-Moorhead Visitors Center front lawn was surrounded with dozens of concrete handprints from celebrities who stopped by over the years. Of all the possible extras to run here, I’m settling for author John Updike because, even though I’ve read none of his books, his short appearance on The Simpsons still makes me laugh to this day whenever I hear Krusty the Clown yelling, “SHADDUP, UPDIKE!” Don’t ask me why. 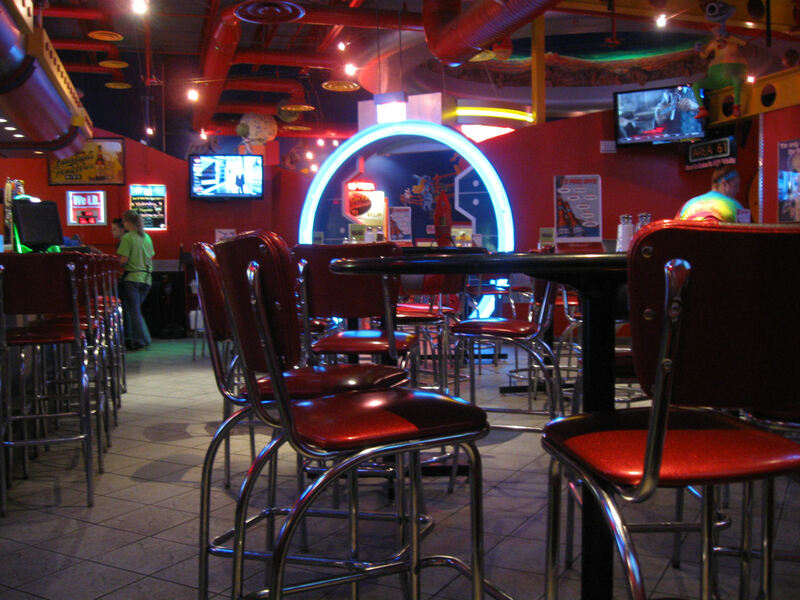 In Part 22, the hostess at Space Aliens Grill & Bar seated us in the bar at lunchtime. 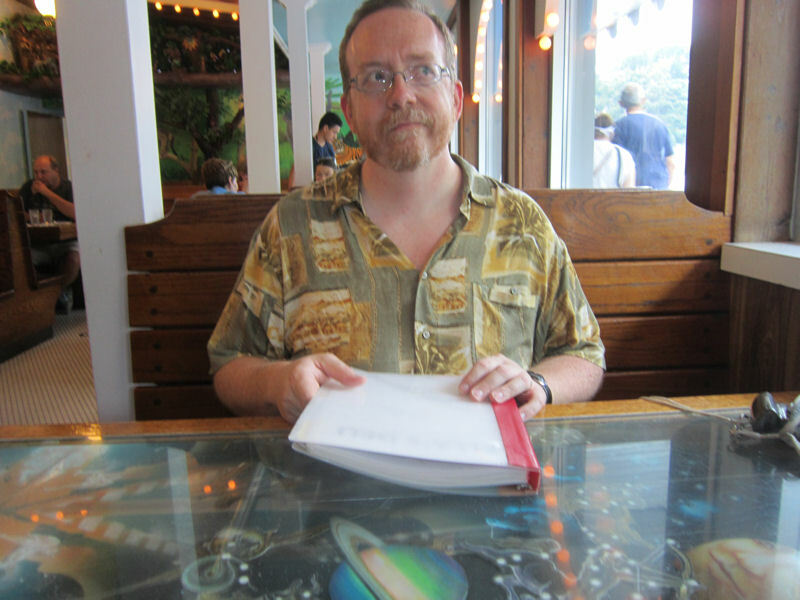 We had plenty of elbow room and all the shining chrome furniture a science fiction buff could ever want, assuming any science fiction buff wanted some for some weird reason. If you’d like some, here some is. In Part 24, we reached our farthest point from home for the year, the Ronald Reagan Minuteman Missile Site in Cooperstown, ND. 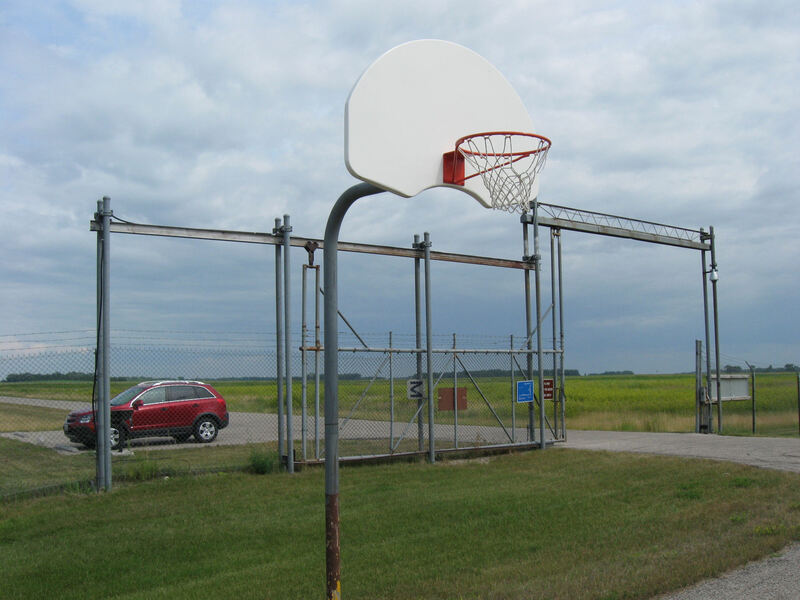 The basketball hoop outside either belonged to the original Cold War military who served on site, or was installed later to give the tour guides something to do between guests. Parked beyond the front gate is our rental car, a 2014 Chevy Traverse that rode fine and thankfully had no mechanical issues, an improvement over our 2013 rental. I have another, much clearer shot of the Traverse in our collection that looks too much like a paid endorsement photo, so here’s one that’s distant and obscured instead. I like how it contrasts with the infinite green of the North Dakota horizon. 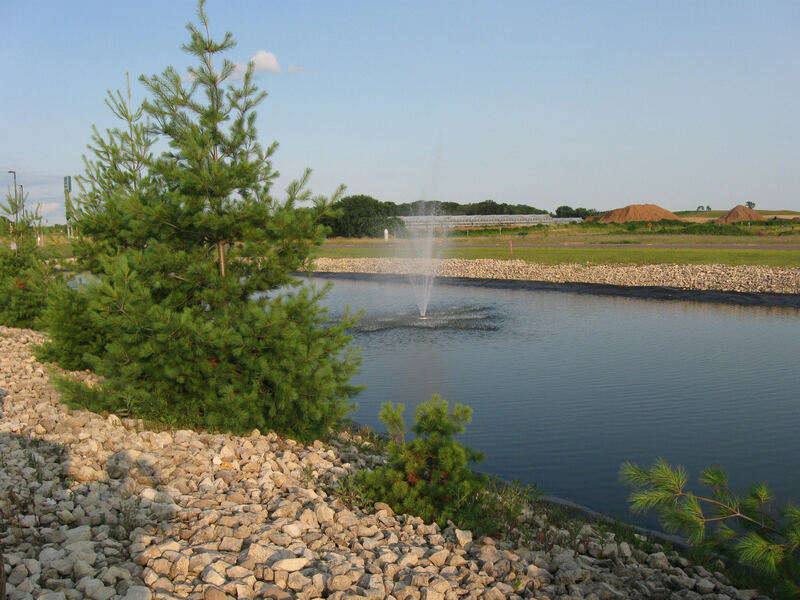 At the end of Part 28, we stopped for the evening at a Sleep Inn travel plaza in Eau Claire, WI, next to an I-90 exit and virtually nothing else. The modest fountain is a welcome attempt to counteract the monotony of desolation. The room was pretty nice, too. What do William Baldwin, Harvey Pekar, and Owen Wilson have in common? They’re three guys who are not represented at the Illinois museum in Part 29. 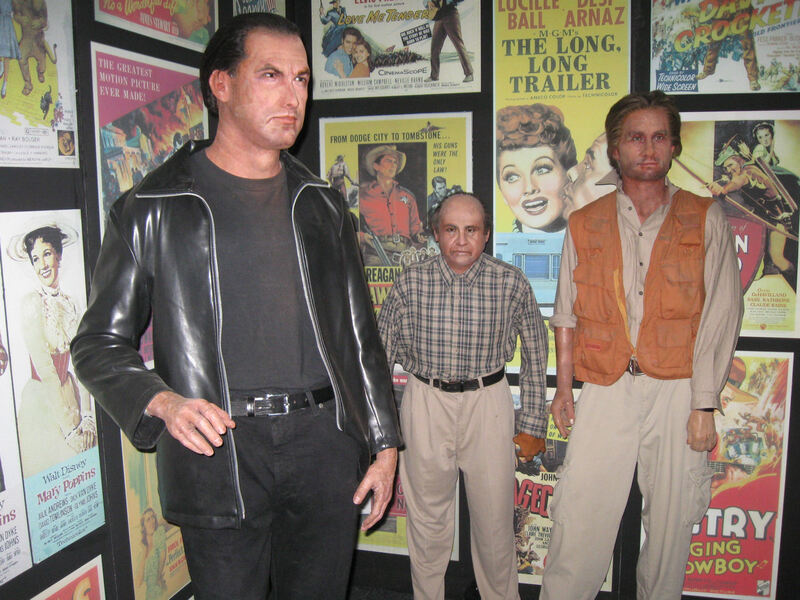 Meet the wax simulacra of Steven Seagal, Danny DeVito, and Michael Douglas instead. What does Seagal have to do with Romancing the Stone? I mean, seriously, I have no clue. That’s why I’m asking you. …and that’s the vacation that was. Another year, another set of states, another collection of new sights, sounds, tastes, touches, and feels. My wife and I thank you for following along on our journey, which to us was rather a delight even if it wasn’t fancy or upscale or overseas or groundbreaking. Generally, that’s not who we are or what we do. Seven days. Four states beyond our own. 2000+ miles. 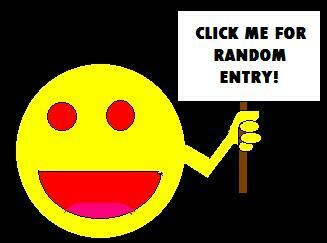 33 entries. Two fairs. Two state capitals. Four downtowns. Several restaurants, nearly all of them memorable for positive reasons. 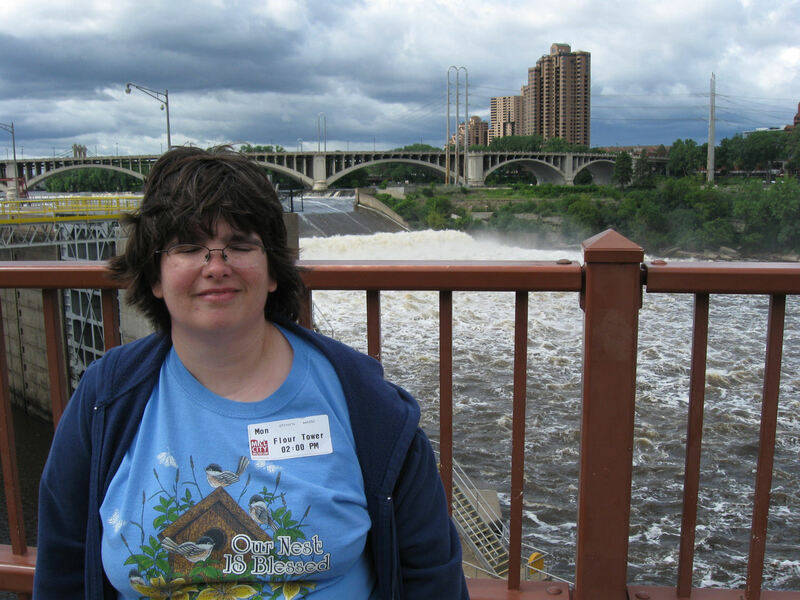 At least two lakes, a waterfall, a fountain, a river, some animals, some furries, the Peanuts gang, and cameos by Prince, the Fonz, Captain America, Hubert Humphrey, Leonardo, and a decommissioned nuke. Another set of memories for the books. The End. Lord willing, we’ll see you next year, by which I mean later this year, because WOW, did I space these entries super far apart or what.